Here you will find, what you always have been looking for! The best isolation material ever made. Originally invented for space applications. Self cleaning and anti static It will not attract dust and acid particles from the air. Teflon has all you need, like: extremely voltage resistant, flame resistant, non-aging, mechanically strong and still easy to work with. Ideal for making cables and isolators. SILVER One of the lowest resistance conductors, with ideal contact properties. Used in transformers and cables for the superior sound. Silver is a relatively stiff material, and for cables that need to flex, a Litz wire must be used. Silver is stiffer than copper, and a silver Litz cables feels a bit like a solid cable. So when you bend it, it stays in that form. When you bend it back, the cable is not untidy, and looks like it was never bend before. This is nice about silver, and it is very nice when wiring the inside of amplifiers. Note, that for this reason the High Flex signal cable can not be made of solid silver Litz, but must be made from silver plated Litz The normal silver Litz cables have an ultra thin copper core, for the same reason, but the silver content is still 75%. If you take out one single wire of the silver Litz, and hold it in a flame, you will see the silver melt, and it forms drops, hanging on the thin copper core. You need a lens to see this, and it is proves the purity of the silver. I will try to make a picture of this, and place it here. ISOLATION Just look into really old equipment, and you'll see all wires have aged. It can age a lot, and in the end make the equipment useless, because of leakage or short circuit risk. For most applications the aging won't be a problem, but for High Voltage applications it is. High voltages will slowly degrade the quality of the wire, and attract a layer of dirt on the wire. This layer can be hardly visible, but consists of aggressive materials, holding acids in a dust-powdered form. So, before just putting any wire in your tube amplifier, check the rated working voltage. You will see a 600V DC wire is either very thick, or hard to get. If the wire is under mechanical pressure, has a sharp bend, or contact to hot components, the cotton will give strong mechanical protection to the inside, and prevent isolation damage. This is because we have it woven very stiff. Besides... it looks really nice. Today's DIY prefer these cables for the fine looks. We have it in several ancient colors. Like: dark green, dark blue, ivory white, navy blue. Etc. It looks just like vintage cable. LITZ For using Litz cables are a few reasons: 1) A multi stranded cable (Litz) has better high frequency properties, due to the skin effect, where electrons travel along the skin of the wire. A Litz cable has a higher surface, and for that reason will give better conductance at high frequencies. It is a "must" in high frequency technology, but many Audio experts prefer Litz wire also. 2) It will not break easy, when flexed very often. For very thick cables, only an ultra fine copper Litz will make that the cable is highly flexible still. So Litz number of 400...800 should be used. All our electronic components are stored in a climatized rooms. We use electric equipment to filter and dry the air. This keeps all materials clean and oxide free. So what you receive is bright and shiny, new condition. (Read more...). When buying new cable, don't be confused with test voltage and working voltage. High Voltage cable can produce noise if you go above the specified working voltage. The noise can be a crack noise or pop noise, and later changes into a hiss noise. The kind of noise you blame on bad contacts, or a faulty capacitor. When buying new cable, don't be confused with test voltage and working voltage. A cable can be tested at 1500V, but the working voltage is still only 600 Volts. You may have noticed, a cable rated above 600V DC is very hard to find. That is because you are in a range where corona effects start to take place. When working with tubes like 845, GM70, you can not just take "any " wire you find somewhere in your cable box. . If an unknown cable seems to work, it may be working now, but inside the cable, inside the isolation, there may be a corona effect. At first it is very little, and is unnoticed. However when Corona takes place, it builds a “channel” in the isolation, it gets slowly more and more. It can be observed as a very small noise signal, but you will never find where it comes from . So people usually blame capacitors for it, and after some years the cable can suddenly short circuit. Specifications: 1500V DC Continuous, 10 Amps max. 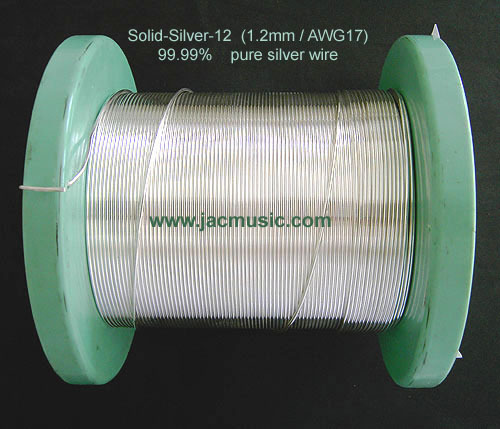 for one of the silver wires we are selling. So you can read here in German: Diameter "Must be" 2.00+/-0.03. "Tested": 1.999. Purity minimum 99.97%. Tested: 99.99%. The Pulling test value is typical for soft, out glowed wire. The wire is out glowed under protective gas atmosphere, so to keep the surface shiny clean. This is a real quality product we sell. 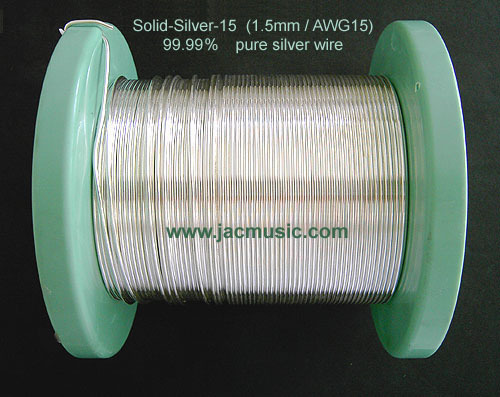 On the website here, we show just one, but we have it for all silver wire we sell. This proves purity, diameter and wire softness is as we says. 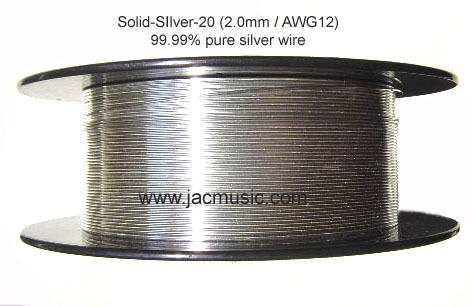 This is Solid Silver Wire, without isolation. It is specified as 3N7, which means the guaranteed minimum is 99,97% pure. It can be used for wiring loudspeaker cabinets, or for free wiring in amplifiers. This wire is made on special requirement for us. It is a wire of very high purity, which was reached by using a very pure silver bar to begin with, and a sapphire tool for wire pulling. This is resulting in a very clean and shiny surface. The wire is medium-soft, by means of a re-heating cycle after wire pulling. Diameter Maximum deviation: +/- 1.5%. Diameter Typical deviation: +/- 0.5%. Note: Same way as AUDION UK does in their beautiful made amplifiers. 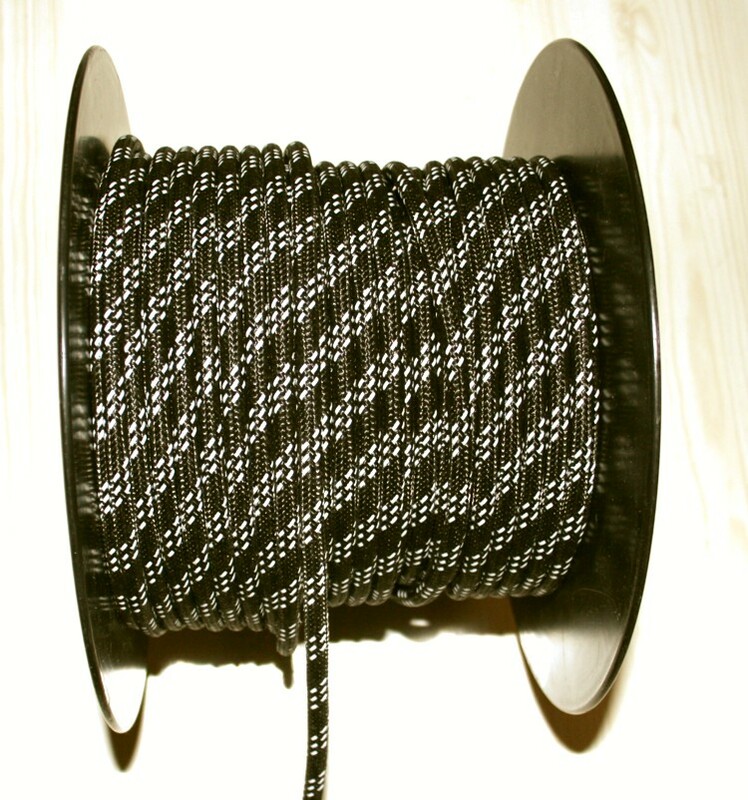 With this wire a ground path is made (20cm length). All grounded components are now connected to this path. The silver wire is grounded at one end only, at the Audio Input connector. Ideal way to prevent hum, and get a "virtual star" grounding with having to wire a "star". This can only be done with a very thick and low resistance wire, like 2mm silver. The resistance of silver is lower than copper. Click image to see a classical example of 1920's wiring. You can wire your tube amp like this, using 1.2mm or 1.5mm solid silver! Invest a small amount of money in 2 meters of wire, and get this beautiful result. Same amp from the Front. Siemens & Halske mobile power amplifier 1031n, with 2x RE134. Click the first image to see a beautiful example of 1920's style wiring. This amplifier is fully original. Did we loose this art of wiring our equipment? 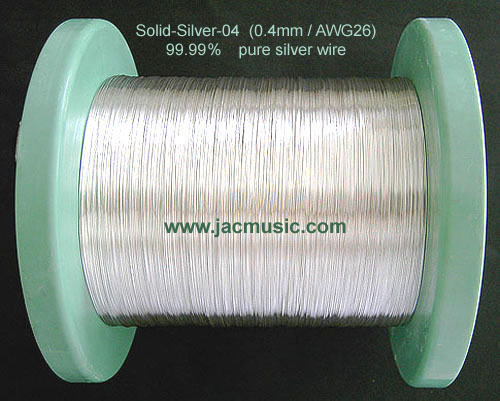 Solid Silver Wire, with 1mm outside diameter, and inside is a solid 0,4mm /AWG26 silver wire. The cloth is cotton. All colors we use, are from the color chart, and are chosen like the colors you see in old radios. 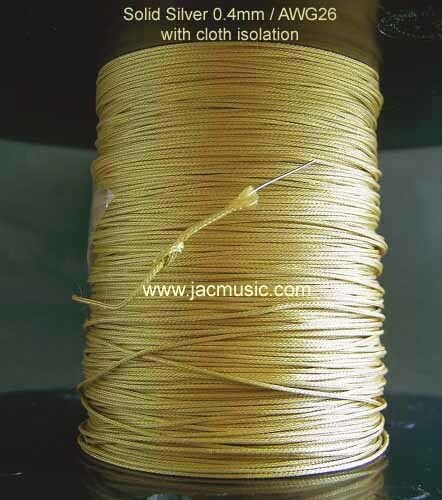 This thin and fine woven cloth will make the cable flex with a very good "feel", and it is ideal for making DIY phono cinch cables from it. Also very nice for complete wiring inside amplifiers. The cloth has no high voltage isolation properties. It can only be used for audio input signals. The cotton is solder iron proof. For making interlink small signal cables, and similar applications. Must be put inside a sleeve when you have high voltages around. Also nice for wiring of Moving coil transformers. All colors are "antique" like found in old radios. We use "old gold" for YELLOW, "Brownish-Black" for BLACK, "Ivory" for WHITE, etc. Make your own silver speaker cable with this! 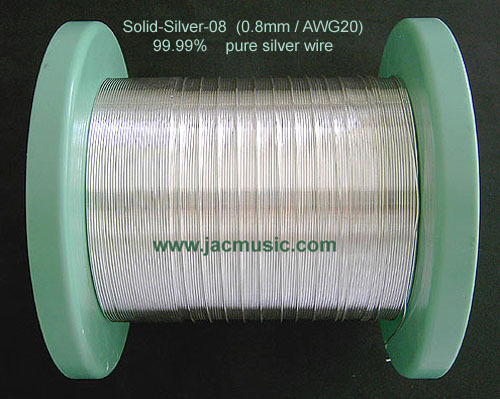 Solid Silver Wire, with a solid 0,8mm /AWG20 silver core, soft out glowed All colors we use, are from the color chart, and are chosen like the colors you see in old radios. This cable is double isolated, and the resulting cotton isolation is very strong, and will not damage when you walk over the cable. For speaker wires. You can use it single wired, or twist a double wire. When you twist it, order 5% more length because you loose this from twisting. How to twist? Before you start, straighten the cable mostly. No need for perfection when straightening it, but of course it should be no mess before you start. Take an electric drill, and while pulling the drill back with reasonable force, start twisting the cable. Go on until you notice suddenly the cable starts to get shorter much quicker than in the beginning. You can't oversee this moment, it happens suddenly, and you can see it and feel it. When you stop now, you have lost about 7%. Don't take it out of the drill, but pull the cable firmly, so it straightens, and while doing so, rotate the drill in the other direction. From this the cable gets longer again. Stop at a length loss of 5% or at any point where you think it looks nice. When you stop now, the cable will be tension free, have a very professional"feel" and is as nice as any ready bought silver cable! If you have no drill, you can also use just a small stick, and rotate the cable with that by hand. Just takes you longer. With the 0.4mm cable you can also make nice speaker cables, but you need more wires then. For this, drill groups of 3...5 wires together, and then drill those groups these together in the opposite direction. That gives a nice, tension free, flexible cable. As said before.. You can also use a single 0.8mm silver wire. Up to 2 meters that is fine also. This cable can be used to make very high quality mains cables yourself. This cable is designed to have high flexibility, and yet very resistant against stepping on it or other accidental abuse. The PVC shield is very strong, and flexible still. So any wear out at the position where is is mounted into the mains connector, sure is not happening. The inside the cable is with many soft cotton fillings. You will be surprised about how pleasant this cable is to work with! High Flexible Mains cable with RFI shielding. This cable can be used together with the FURUTECH mains connectors. Though this is a cable, with officially VDE qualified RF shielding, it is amazingly soft, and has a "gentle" feel. It is officially made for applications that require many bends, without damaging the shielding, or impairing the quality of the shielding. copper shielded, with VDE registration/approval for the RF properties. 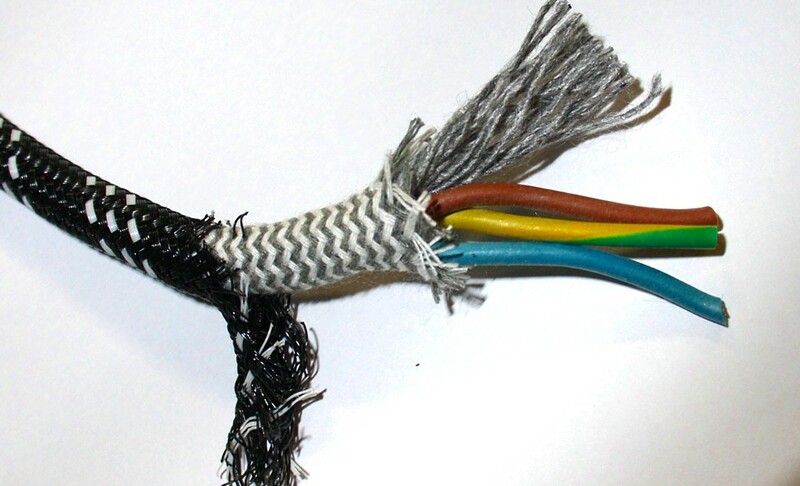 Amazingly good results for shielded mains cable have been reported by many people! Best use: The ground wire must be connected the normal way, as with any three wire mains cable. The RFI shield must only be connected at the chassis side. So, no current will flow through the shield. Like this the shield has only a static function, and it will be a Faraday cage all around the mains cable. No radiation can go in or out a Faraday cage... as long as no current is flowing through it. That is why the shield must be connected to the equipment chassis only, and to nothing else. Any 50Hz (or 60Hz) radiation from the mains cable is now most effectively suppressed, and can not interfere any more with sensitive equipment. The more unshielded cables, and the longer they are, the stronger the overall signal pollution is going to be. So you must try to avoid spaghetti of unshielded cables behind your equipment. Better use shielded cable. For best results, it is recommended to replace all mains equipment cables of the complete stereo installation by shielded mains cable. You will have only good results with professional material. 220Volt and also 110Volt is a very high voltage, and not possible to shield with little efforts. You need a good quality, thick and good conducting shield. Some cables are sold, with just some industrial safety shield around it. This is NOT what you need, and besides these are very stiff. You need good RFI shielding, which is more expensive material. Because of the high diameter of shielded cable, and for getting normal use comfort, a high flexibility cable must be used. Mundorf Silver-Gold Solder. Large 100 gram roll. Something about silver solder. Silver solder is not pure silver, but an alloy, and you can solder this just with a normal solder iron. A good silver solder is hard to get. The low cost types will give you difficulties while soldering, and risk of bad contacts after soem years. In general, never put mechanical force on any solder joint, because that will cause "cold flow" after years, which means contact whiskers or a high resistance contact. This the reason why in old radios you allways will find the wire ends nicely wrapped around the contacts. Silver-Gold solder. Mundorf 100gramm Roll. Sn95,5Cu0,7Ag3,8Au. Melting point 217°C. Contains Flux. Silver-Gold solder. Mundorf SUPREME 100gramm Mundorf Sn88,6Cu1,8Ag9,5Au0,1 Melting point 290°C. Contains Flux. We much recommend you the special flux that we sell also. This is a liquid flux, also excellent for Litz wires. Good silver soldering takes practice, but it is easy to learn. For best results take a lot of flux, and add more flux when you re-solder. Remember that with silver solder, the flux will start to function when it gets burned by the heat of the soldering iron. With lead containing solder this is not so, and the flux will already be active at lower temperatures. So you may often need a fraction more flux as contained in the solder. Specially whan re-soldering a wire. Silver Flux. This is a flux for silver solder, but of course you can also use it for lead based solder. This is an acid free flux, which means the residue will not damage the electronics. Something about lead-free solder RESULTS. Good or bad? 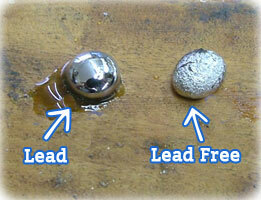 When using lead free (silver) solder for the first time, you are probably much disappointed. The solder joints look not nice, look unreliable, and look badly done. Well, and that is probably just what they are. Lead-free soldering is not more difficult, but mostly it is ANOTHER process, and you don't know that. You need to change the way you are soldering. Here is the difference. With lead solder, as soon as it melts, and there is some flux, it will flow nicely. The flux is active in any condition, doing it's job for as long as the solder is melted, and the flux has nor burned or evaporated. Not so with lead-free solder. Without lead in the solder, the flux is initially not working. You need to understand this. After the solder has melted, your need to further heat up the joint, until the flux starts to burn away. It is this very moment ( where the flux burns away) the solder suddenly flows nice, and after that is stops doing so, and the joint starts to damage. So, this moment is short, since the burning flux is gone before you know t it. This makes the moment of good solder flow very short. I would say, the moment is so short, you can only solder conveniently little wires together or things like that. If you need to do something larger, you simple need to apply extra flux, lots of flux, and better even apply it a few times. For best optical results, you can remove the flux residue later with alcohol, and it will look clean and nice afterwards. AWG means American Wire Gauge, and is a method to categorize wire size by a "number" instead of diameter. As the word AWG says it is for America only. In America the AWG system was designed logarithmic, because that makes things easier. For normal electricians (like me) there is still the option to look at the wire diameter of course. Here is how AWG works: By lowering the AWG number with a factory THREE, you lower the wire resistance with a factory TWO. You can just hold on to this. Also it means that the step from AWG2 to AWG1 is the same size as the step from AWG33 to AGW32. One Step is roughly 26% change in resistance, regardless at what AWG number you are, and regardless if you go up or down. This a nice system, when you want to know how to quickly change the resistance of the used wire by 26%, by just changing the AWG one number. When you want to know anything else, no matter what, calculating that from AWG can drive you crazy. So here is a conversion table.